He's expected to attack Gov. John Kasich, after sending about a dozen tweets belittling his rival just days ago. In those tweets he said running negative ads against Kasich would be a waste of money because he is irrelevant in the race for presidency. 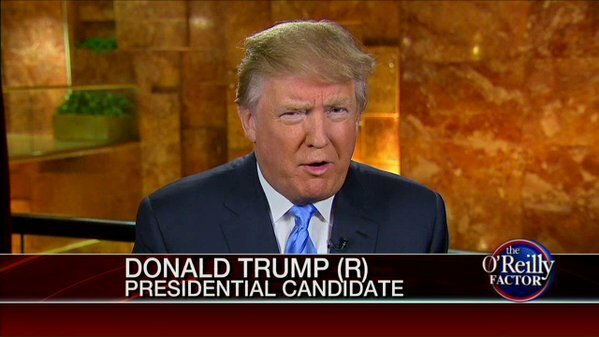 Donald Trump on The Washington Post: "They do me no favors." Donald Trump dramatically reads a snippet of a 2001 WaPo article to prove he's right on thousands of Muslims in NJ cheering 9/11. Trump hones in on the word "tailgate," claiming that so many people in NJ were celebrating 9/11 it was like a college football tailgate. Donald Trump starts another crowd chant: Build the wall! Build the wall! Build the wall! Build the wall! Build the wall! Donald Trump: "Our police do a phenomenal job but we've taken their power away." Adds that any industry will "always have bad apples." Forty-five minutes into Trump's speech in Columbus and I'm seeing dozens of people leaving. #Trump talking trade deals - "they're allowing these great companies to leave our country" - "I'll solve that so fast." Vague on specifics about how Trump would keep a company from leaving US - by talking to CEOs and making "great deals"
Trump says he's "a beautiful package." Trump: "We're going to start winning so much." Donald Trump says he will be great at trade and national security, ensuring that "horrible things" don't happen to their cities. Trump: "We're going to take back our jobs from China, Japan and Mexico." Donald Trump ends his Columbus rally in just under an hour, promising to "make America great again." Crowd cheers -- and heads to the exit. Ohio Republican Party Chairman Matt Borges is defending Gov. John Kasich (R) against Donald Trump's attacks in Columbus tonight. Ohio GOP chair says Trump's rhetoric tonight doesn't match his state: "We're going to have to work to keep this party held together." Fun, but long day in Columbus. Feels so good to be back home in Cleveland tonight. ??????????? ?